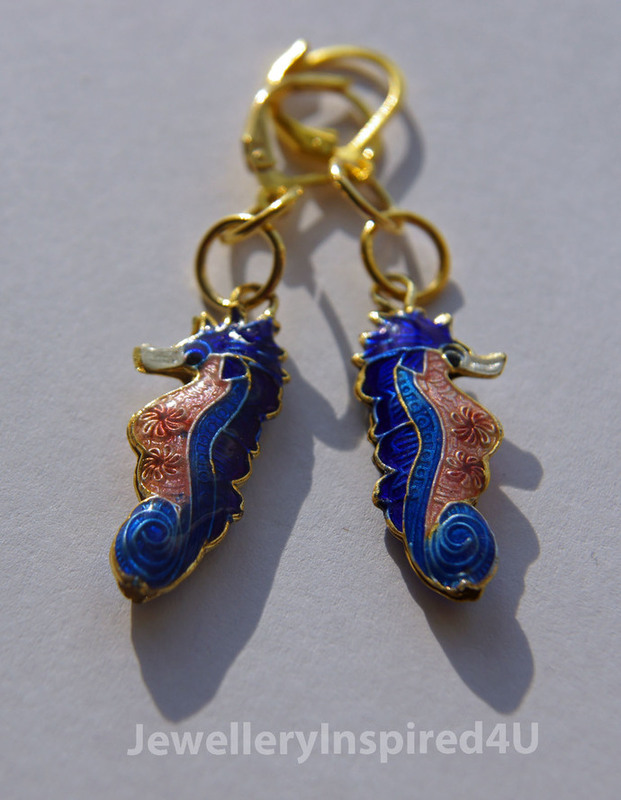 Cloisonne - Seahorse Enamel Earrings with Gold Plated Lever Backs. Sky/Cobalt Coral/Salmon, featuring these delightful seahorses, they known are to be very protective in taking a natural interest in their young. 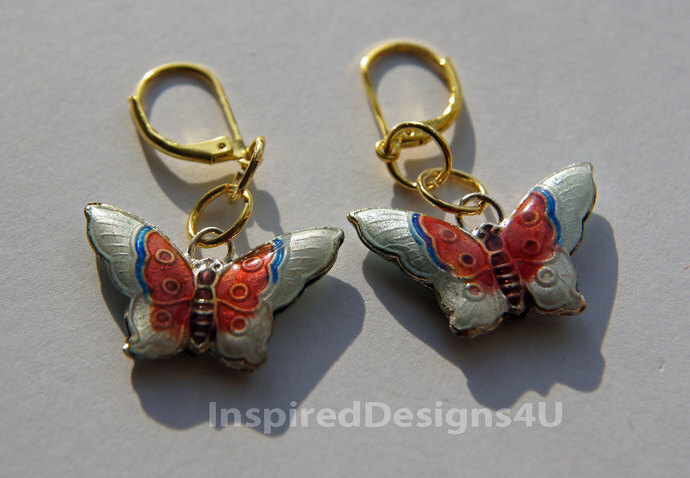 These are beautiful with a combination of coral and salmon with exquisite detailing with gold around the edges . 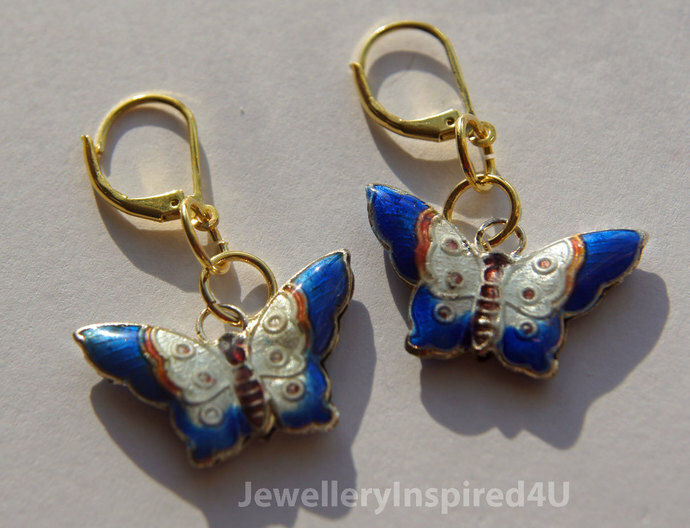 Suspended on 18Kg gold plated lever back ear wires. The enamel is so vibrant and breathtaking a must to be scene. Bring something home with elegance and style that you pass along as a heir loom for you family. These will delight those young and older for everyone on your list. Hypoallergenic and nickle free. Cloisonne is an ancient technique for decorating metalwork objects, in recent centuries using vitreous enamel, and in older periods also inlays of cut gemstones, glass, and other materials. The resulting objects can also be called cloisonne. The decoration is formed by first adding compartments (cloisons in French) to the metal object by soldering or adhering silver or gold wires or thin strips placed on their edges. These remain visible in the finished piece, separating the different compartments of the enamel or inlays, which are often of several colors. Kindly convo me if there is something else you have in mind that you don't see. 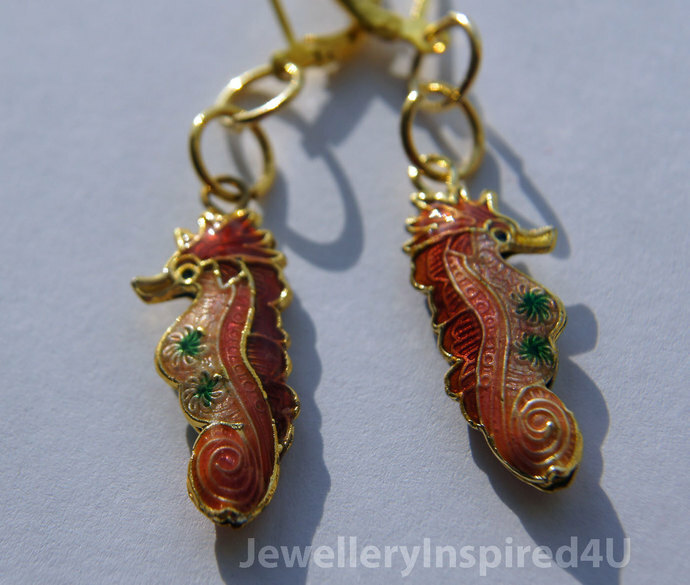 Measurements: The playful seahorse comes in light coral and salmon or blue as shown. They measure 29x11.7mm (1.16 x 0.43 wide) the finished length is 2 inches. 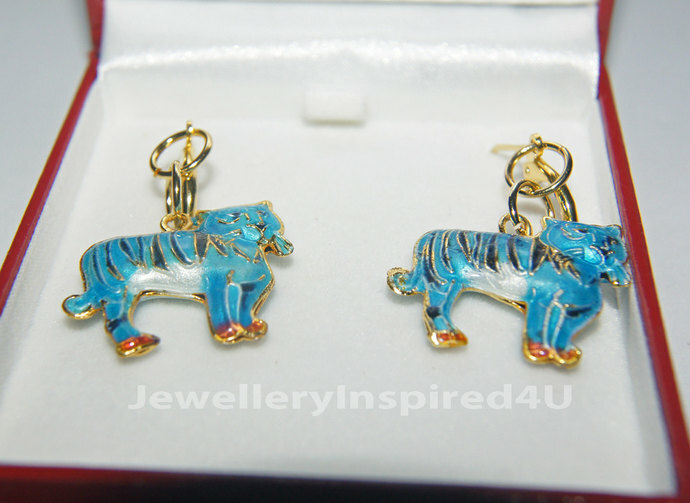 Shipping: All items are carefully wrapped and packed in a jewellery box and bubble mailer.